Law and IT Minister Ravi Shankar Prasad Saturday said he had denied permission to Facebook's Free Basics platform when he was handling portfolio of the communications ministry. "Right to access of Internet cannot be denied. Therefore, I said earlier when Facebook came to India with Free Basics when I examined it, (and) I was handling communications department then, I found it will be free only when you enter from my gate. India does not believe in one gate and I did not give them permission for that," Prasad said while speaking at the Digital India Summit. He said it is for the USA to decide their stand on net neutrality but "Our stand from day one is very clear - right of non-discriminatory access to the Internet is not negotiable". The sector regulator, Telecom Regulatory Authority of India, had issued a regulation in February 2016 on discriminatory pricing over Internet access which led to ban of platforms like Free Basics and Airtel Zero. TRAI ruled against discriminatory pricing for different data platforms or content and said operators cannot enter into pacts with internet companies to subsidise access to some websites. As per ruling, the companies violating the rules will be fined Rs. 50,000 per day for the duration of contravention, subject to a maximum of Rs. 50 lakh. 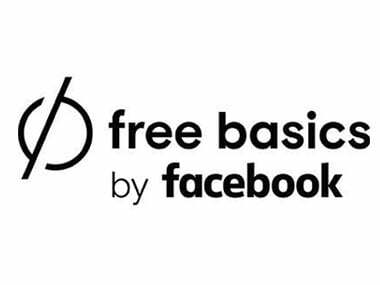 Facebook was offering free Internet access to some websites that were available on its Free Basics platform. Following debate over net neutrality, Prasad as the telecom minister had set up a panel of officers from the Department of Telecom (DoT) to examine the matter and come up with recommendations. Prasad had then said the government would take a holistic view on net neutrality after the DoT panel and TRAI finalise their recommendations. The DoT panel too had recommended bar on platforms like Free Basics as it will act as gatekeeper to the Internet. Last month, TRAI finalised its recommendations on net neutrality in which it prohibited Internet service providers from making any discrimination in traffic while providing web access by either blocking or throttling some apps, websites, and services or by offering 'fast lanes' to others. "I believe Internet is one of the finest creation of mankind and must be available for all. If Internet is a global platform it must have link with local," Prasad said. The DoT has to now take call on TRAI recommendations over net neutrality. He said the government is making efforts to make India a $1 trillion (roughly Rs. 64,40,756 crores) digital economy in coming 5 years which include IT, IT-enabled services, shared economy etc. The IT minister further said the government recently provided "duty shield" to electronic and mobile sectors to promote domestic manufacturing. Prasad said there were two companies that were making mobile phones in the country when he took over as IT and communications minister. "I am happy to announce today, India today is home to 108 mobile factories in the last three years," he said. Prasad said the government has also decided to bear the charges on transactions up to Rs. 2,000 made through debit cards, BHIM UPI or Aadhaar-enabled payment systems to promote digital transactions.